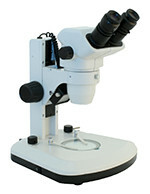 Microscope World offers a large variety of stereo microscopes from boom stand stereo microscopes to digital stereo microscopes. Articulated arm stereo microscopes are used to inspect larger objects, while stereo microscopes with external lights are used for inspecting small manufactured parts and quality control. 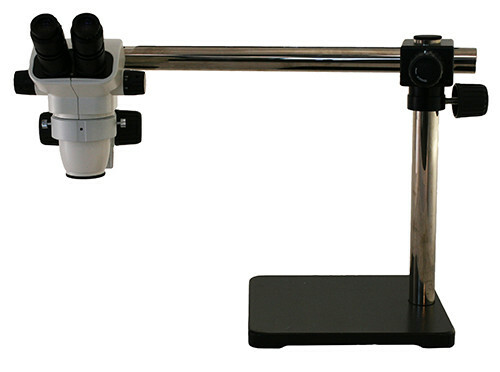 Stereo microscopes can have both reflected and transmitted light, depending on the microscope stand used. Most common stereo microscopes are used to look at opaque objects that do not typically allow light to pass through them. Stereoscopes are used in industry, research, laboratories and universities. Since different applications require different stereo microscope setups, the stereo microscope can be formatted into a number of different customizable configurations. Interchanging eyepieces and objective lenses can alter magnification and working distance.